Most people may think that plaid is a boring trend but trust me there are so many ways you can slay plaid like a true fashionista. And if you still don’t believe me then check out some of your favorite celebs rocking plaid. Mrs. Kelly is looking so cool and edgy in her over sized plaid frock with a leather jacket and oxfords. Yasss! Plaid is just not for the ladies, guys you can get in on this fashionable trend too. Get your man ready for the holiday season by suggesting a full plaid printed suit. Looking dapper John. Want to keep things simple? Pair a cute plaid t-shirt with leather pants for a funky look. Push through Gabby. Add a sultry element to your plaid piece by opting for a printed dress that shows a little leg. Werk Mrs. Wade! Missing the 90’s? Then get like Karrueche rocking a super cute mini plaid skirt. Obvi, you can’t go wrong when pairing this skirt with an oversized bomber and suede booties. Cute! Want to be comfortable? Opt for something cute and simple like a plaid shirtdress. 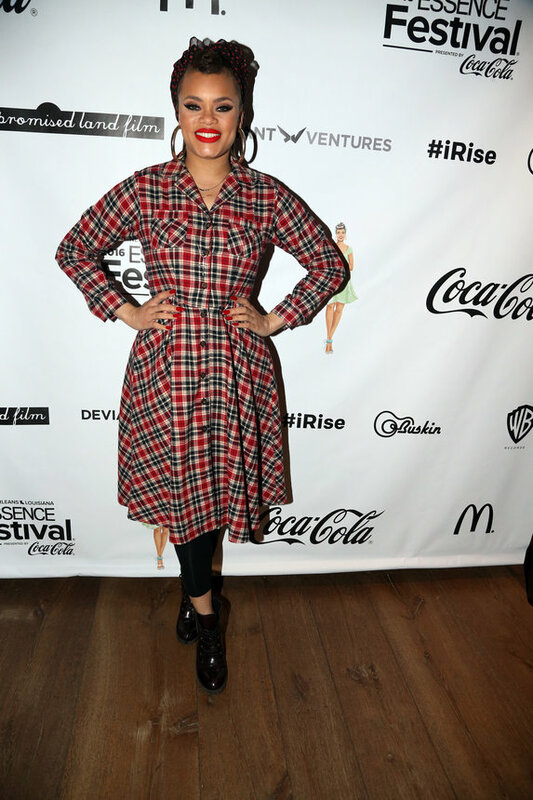 Andra is definitely giving me vintage vibes with this plaid shirtdress with a full skirt and I am so here for it. I am obsessed with Zendaya’s style no matter what she wears she slays. Zendaya is giving me so much life in this shirtdress and pumps. Yasss hunty! How do you wear plaid? Let me know in the comments. Zendaya’s outfit here is so beautiful, I want it so badly! Yes I love her style.